There is an article in the BBC news today (Vatican's space mission) about a new astronomy-focused website set up by the Vatican in collaboration with the scientific community. 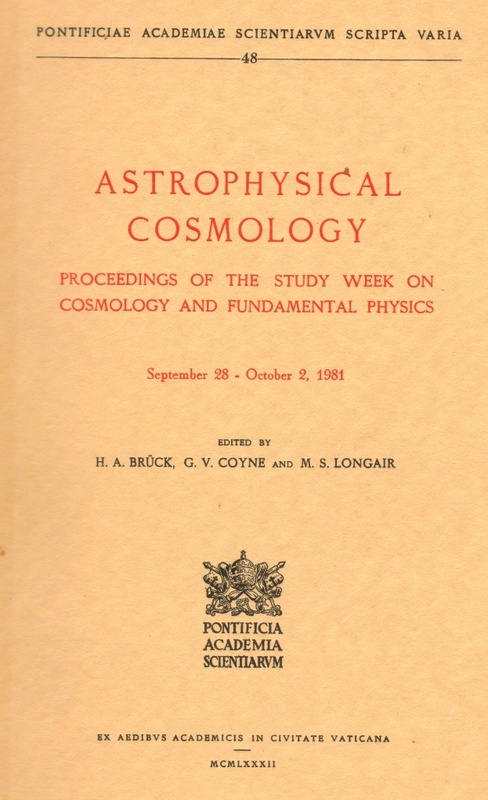 While interesting (and on the face of it rather bizarre), this collaboration isn't a particularly new thing, as the book illustrated below (Astrophysical Cosmology, published by the Vatican in 1982) shows. 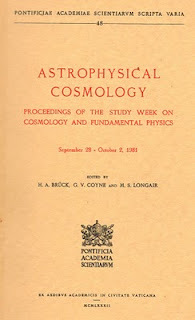 The book contains the proceedings of a study week on Cosmology and Fundamental Physics that was organized by the Vatican's Pontifical Academy of Sciences, with an introductory address by the then-Pope (now soon to be beatified) John Paul II. On the scientific side it included such luminaries as Stephen Hawking, Jan Oort (of Oort Cloud fame) and Britain's current Astronomer Royal Martin Rees. The meeting was held in October 1981 at the Pope's Summer Residence at Castel Gandolfo (which featured, together with many other interesting locations and one or two not-very-original ideas, in Dan Brown's novel The Da Vinci Code ). If you think it's strange for the Vatican to be interested in modern Cosmology -- well, they invented it (sort of). It's a little known fact (at any rate, it's not mentioned in the BBC article), but the Big Bang theory was originally proposed in 1927 by one Monsignor Georges Lemaître... who went on to become president of the Pontifical Academy of Sciences! As I said to someone the other day on the Guardian's "Comment is Free"
"he became a graduate student in astronomy at the University of Cambridge, spending a year at St Edmund's House (now St Edmund's College, Cambridge). He worked with Arthur Eddington who initiated him into modern cosmology, stellar astronomy, and numerical analysis. He spent the following year at Harvard College Observatory in Cambridge, Massachusetts with Harlow Shapley, who had just gained a name for his work on nebulae, and at the Massachusetts Institute of Technology, where he registered for the doctorate in sciences." 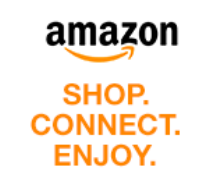 Thanks for the clarification. I guessed something like that would be the case, which is why I put "sort of" in brackets! The navel string between Roman Catholic Church and classical physics is much more stronger than Big Bang Theory of Georges Lemaitre as an primeval atom and singular birth of the universe managed survive into modern scientific (better to say near scientific) texts. Many of the plead of the founding fathers of classical physics were Catholic priests. This is neither reason to suspect real science in religious prejudices nor to consider it as a final sacred truth. Just, historically, monasteries and churches were laboratories of thought. So, say, astronomy and chemistry were younger brothers and sisters of astrology and alchemy. As to modern ex-nihilo cosmology, it also will be displaced by myriads-bounces cosmology of the eternal cosmology (see "E pur si muove!" http://arxiv.org/ftp/arxiv/papers/1210/1210.4091.pdf ) in which the Bing Bang is a regular local bounce.